Unlike the classical Ottoman poets, who were generally members of the ruling elite, modern Turkish poets have tended to be dissidents against the Kemalist regime. Mehmet Akif Ersoy went on voluntary exile to Egypt in order to get rid of the police surveillance, which frustrated him after his contributions to the War of Independence and his deliberate collaboration with Mustafa Kemal and his fellow "Populists," he did not come back until shortly before his death in Istanbul in 1936. Kemalists did not hesitate in suppressing their previous collaborators. Nazım Hikmet, who was a young but strong supporter of Kemalist reforms during the 1930s, was charged and sentenced for having plotted to overthrow the Kemalist regime in order to establish a Soviet communist republic in place of the Turkish Republic. Because of the actions similar to those against Akif and Nazım, and since the Kemalist political elite suppressed freedoms of political thinking, belief and speech, poets became the usual suspects for officials for a long time. Until the irrelevant and apolitical poetry of the 1980s, being a poet meant to be a candidate political prisoner. On the other hand, the regime supported its own public servant poets and writers. The number one rule for these was to praise Mustafa Kemal as far as possible, no matter how ridiculous or irrational the case might be. Some pro-Kemalist writers and artists tried to show how great Mustafa Kemal was, drawing him like a prophet or even a god. As a consequence, such assigned writers have been criticized ever since multi-party democracy began in 1950. They have generally been referred to as public-servant poets and have been accepted as ones with no or little talent. However, there are also a few Kemalist writers accepted as creative and talented by the dissidents. Cahit Külebi, for instance, was a true believer of the Kemalist regime, which has not affected non-Kemalists' embracing him as one of the good and special poets of the 20th century. Cahit Külebi was born "Mahmut Cahit Erencan" in Çeltek village of Zile, Tokat, a province in the Eastern Black Sea Region, on Jan. 2, 1917. He chose "Külebi" as a pen name and later he registered it as his official surname. His family moved to Zile town when he was three. The following year, they moved to Artova, on which Külebi wrote, "The only paradise to me was and still is Artova." Külebi's parents were from Erzurum, a historical eastern city. His father Necati was a public servant. His mother Feride came from a landowning family from Pasinler, Erzurum. Külebi was the third child of his parents, who were wealthy people compared to their environment, in thanks to their mother's lands and their father's salary from the state. This is an interesting point since Cahit Külebi kept writing on poverty in the Anatolian country. When Cahit was in the third grade, his father received was posted to the Population Office in Niksar, another town of Tokat province, and they moved there. Cahit graduated from the elementary school in Niksar. After that, Külebi was enrolled at secondary school in Sivas. He went to high schools in Bursa and Sivas before he was admitted at the Higher School of Teachers in 1936. Teachers' Schools were parts of Kemalist cultural policy, which aimed at enlightening the children of villagers without changing their position as agricultural producers of the Turkish Republic. Külebi was fond of reading adventure novels when he was at elementary school. He read Jules Verne and Alexandre Dumas. He read and memorized many poems of such major poets as Necip Fazıl, Nazım Hikmet and Ahmet Muhip Dıranas during his years at the Sivas High School. He also read Ahmet Kutsi Tecer and Fazıl Hüsnü Dağlarca, other young famous poets of the 1930s. Tecer was his literature teacher at the Sivas High School. Külebi began writing poetry in high school. He published his early poems in the school magazine before he began to send his poems to national literary magazines. He published a lyrical poem named "Gidene" (To the Goer) in "Yücel," a leading literary periodical, in 1935. Külebi lost his father in his senior year at the Sivas High School. After the death of the father, Külebi's family moved to Bursa. The young poet met some significant writers like Reşit Rahmeti Arat, Mehmet Fuad Köprülü and Ali Nihat Tarlan, giants of Turkish literary criticism and historiography, at the Teachers' School. He visited Berlin to study teaching with the help of Professor Arat. After graduating from the Teachers' School in 1940, Külebi joined the army to serve for two and a half year because of the World War II. He married in 1941. After military duty, Külebi was assigned as a literature teacher at Antalya High School. He also worked as a literature teacher, scriptwriter and assistant director at the State Conservatory, literature teacher at the Gazi High School, national education inspector, culture attache in Switzerland and assistant undersecretary for culture at the Ministry of National Education. After his retirement, he worked as the General Secretary of the Turkish Language Institution. Meanwhile, Külebi kept publishing poems, and only poems, for decades, in leading literary magazines including "Varlık" and "Türk Dili." These two particularly, were accepted as the official literary periodicals of the Kemalist elite until the 1980s. Cahit Külebi is best known for two types of poetry. One is the "country poems," telling the difficulties of life in the country, while the second type is completely personal and lyrical. Most people love the second type, though we all have learned the first type of poems of Külebi at school. Though he was a loyal Kemalist, all generations of poetry accepted Cahit Külebi as a passionate and talented poet. Critic Mehmet Kaplan wrote on him as follows: "I believe that those artists who gained high culture in the city but did not lost their authentic living in the country could manage to tell us about the Anatolia." I suppose space and time, or the setting in technical meaning, in Külebi poetry is secondary to his personal lyricism. He is best at portraying the enthusiasm of the individual toward life, love and happiness. He also shows the impossibility of an earthly paradise. was so free as a little sparrow. lost the song in me." This excerpt excellently shows his energetic but also nostalgic attitude to the lost paradise of childhood. 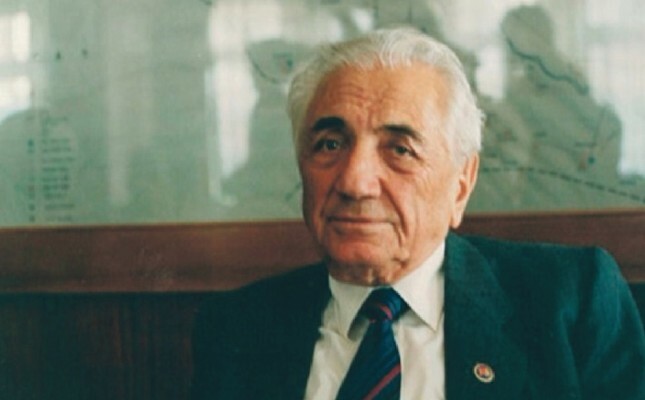 Cahit Külebi died of cancer on June 20, 1997 in Ankara. In spite of his loyalty to the state, he was not helped officially and died poor and lonely.